Australia is one of those destinations that seems designed with the adventurous traveller in mind. Despite its populous cities, huge swathes of the country remain wild, simply begging to be explored. From the sun-baked Australian Outback (home of the iconic Uluru, or Ayers Rock) to the ocean depths surrounding the Great Barrier Reef and the trails of the Daintree Rainforest, the world’s oldest surviving rainforest. Because Australia has a vast, wild interior, most of the urban activity is concentrated on the coasts, making it a popular destination for beach lovers longing for the city life. The biggest draw is Sydney – home of the iconic Sydney Opera House, Sydney Harbour Bay and plenty of restaurants, bars and nightlife venues to keep travellers entertained. Add the sunny climate and golden beaches, and it’s no wonder that more than 1.5 million expats currently call this city home. Those in search of a more low-key experience tend to head to Melbourne instead, where life moves at a slightly slower pace. Despite being somewhat smaller than Sydney, Melbourne has plenty to recommend it, from a lively art scene to a bustling cafe culture. Besides these two tourist magnets, there are a number of other places in Australia worthy of your attention. 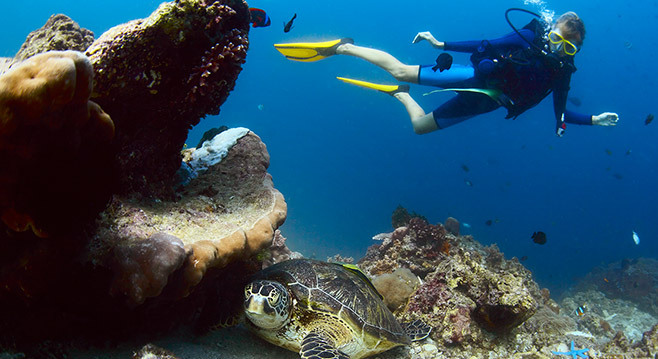 Visit the west coast to discover destinations such as the less crowded city of Perth, and the Ningaloo Reef, where some parts of the coral are close enough to swim to from the beach. Although it’s hard not to be preoccupied with the many modern attractions that Australia has to offer, you shouldn’t miss out on delving into the country’s past. The indigenous Aboriginal people have a history that dates back at least 50,000 years. Visit Uluru-Kata Tjuta National Park to learn more about their culture. Anything goes in Melbourne, a city that effortlessly blends a cosmopolitan feel with a little bit of the Aussie outback.